If users struggle to use your digital asset management system, can’t find what they need or don’t enjoy the experience, then they won’t use it. It really is as simple as that. So how do you help them enjoy the experience and engage them to come back for more? Here are our suggestions. This is perhaps the biggest challenge and there are three key issues to consider in getting it right. First, get a clear picture of exactly who will be using the system, what will they expect to achieve and what degree of functionality will they need? It’s vital not to bombard users with functionality and assets they’ll never use. That will only engender fear of the system among users and they won’t be inclined to use it. The way to overcome the problem is to group your users in terms of the functionality each group needs and then impose permission levels to give access to asset types or file formats, as appropriate. 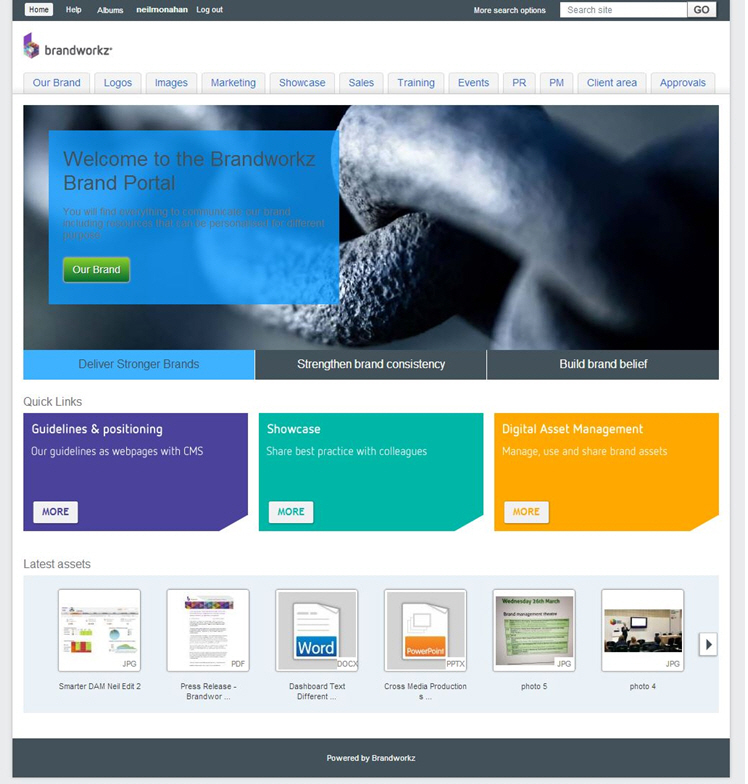 The first requirement of a digital asset management system is a simple, intuitive interface. Regardless of the complex functionality that lies beneath, your users must be able to find what they want easily, and to execute actions with little or no training. That’s why it’s crucial to define your business requirements, system objectives and needs of the workforce – right upfront. Key questions to put to your vendor should include whether or not the proposed system can be tailored to your needs in terms of navigation, folder layouts, homepage widget choices and so on. Think also about how future needs are likely to evolve and whether the system is adaptable enough to grow with changing conditions. Work with the people who will be your internal and external users and keep them involved. While we recognise the potential shortcomings of decision-making by committee, it is certainly important to involve your most significant stakeholders in discussions about design and development of the new system. After all, they have the day-to-day knowledge of what’s needed – and well-informed opinion will always make a positive contribution to system configuration and usability. Quality of user experience (UX) has become ever more significant as digital asset management has evolved from a niche area of business activity to an all-embracing corporate facility. The old order of specialist staff exclusively managing the company’s digital assets are done for; these days, large numbers of users should be, and probably will be, regularly dipping in and out of the digital asset management system – and they are right to expect an easy experience. 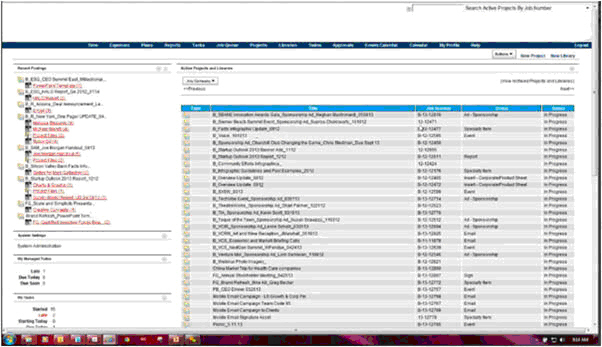 The first screen shot is from a real-life digital asset management system a couple of years ago. It would be hard to encourage people to use this simply because it looks difficult to engage with. If this was your system, the marketing team would be overloaded with manual requests for assets and have to devote much of their time to fire-fighting off-brand behaviour. The second screen shows the system we use internally here at Brandworkz. Significantly, it has been crucial in engaging our people in the USA and Australia where we have opened offices. Using the system has resulted in a major lift to appreciation and understanding among our users about our mission, vision and behaviour, and we have been able to increase positive differentiation in the marketplace. A typical user will consider digital asset management as just one of the many systems they use in their daily work. So users expect to find what they’re looking for quickly, download or share it easily and then quit. For this type of user the focus is on rapid search, quick and clean download and an ability to support other business tasks. And then there are the heavy system users. Typically these are the people who populate the system and maintain it on a day-to-day basis. They’re the technical folk. They will want to get ingestion and maintenance tasks done as quickly and accurately as possible – for example bulk uploading, adding metadata, moving assets and files, creating new folders or setting up new user groups. 3. The bottom line? Whatever you do, keep it simple! It cannot be stressed too strongly: an intuitive interface, simplicity of use and an agreeable user experience are the foremost characteristics of any truly effective digital asset management system. Which brings us to the bottom line: if the DAM system isn’t easy to use, people won’t give it the time of day. And where would that leave a company’s return on investment?